Packed up and on the move by 0940h – and that’s everyone. We all arranged to meet at the Information Centre in Mansfield so people could grab supplies (fill water tanks etc) before we headed off. The original plan was to travel over to the Horseyard Hut camping area on the Moroka Rd, however track closures (mainly King Billy Track) forced us to replan. I had earlier in the trip spoken to David and the others on the trip and we decided to head over to the Buckland Valley instead. This necessitated a change of day trips to the original, but more on that soon. After re-supply we headed down the road towards Whitfield. Jason and Michelle had left a few minutes before us so I gave them the route directions (Graves Rd/Old Tolmie Rd) and said that we’d catch them. Anyway as we were leaving I realised that there was an easier way so the rest of us went straight up the Mansfield-Whitfield Rd. We caught up with Jason and Michelle about ½ hour up the road – their route had taken them up and over the mountain on a gravel track! (Oops!). 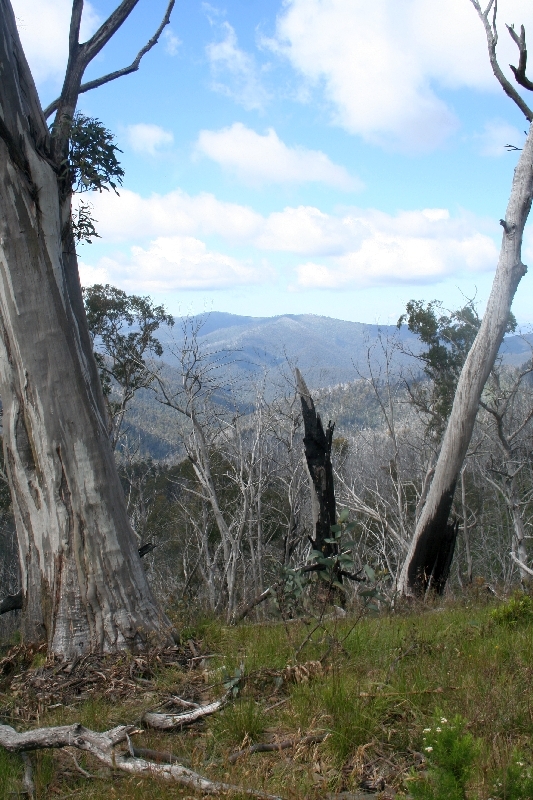 We continued on and stopped at Powers Lookout for lunch (and it was actually Midday!). Due to the view we stayed for around an hour before departing. Some of the group tried to do the power line track down the hill but found that it was closed and that the gate had been forced. Arriving at Whitfield the plan was to go across Gentle Annie Lane and then on to the Whitfield-Lake Buffalo Rd. However Gentle Annie Lane was closed after the caravan park which necessitated a u-turn and back-tracking to Whitfield (I was starting to get annoyed with the track closures about then!). We instead went through Cheshunt and onto the Rose River Rd. I’m really glad we did now as it was very scenic along most of the route. It basically follows the river and is an easy high range gravel road, but I’d like to go back one day and camp for a few days. We arrived at Dandongadale where we split the group. 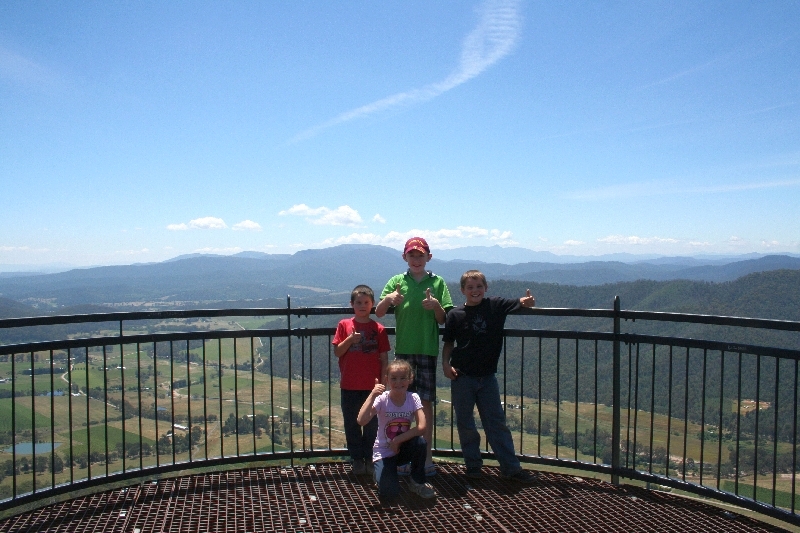 Some climbed straight over the mountain range whilst the rest of us went up through Myrtleford. 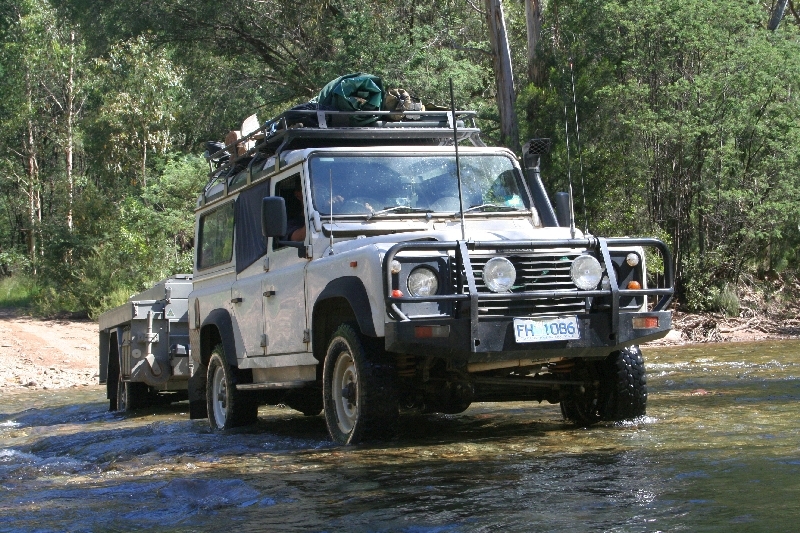 Again I’m sure the trip report for that part will be on the Overlander Forum. The road along side Lake Buffalo/Buffalo River is very scenic. For a bitumen road it’s worth spending some time along there. We arrived at Myrtleford and stopped for some supplies. A quick run up the Great Alpine Rd and we turned down Buckland Valley Rd. With a slight delay for the cows going for milk we ended up on the gravel road and started finding a camp. 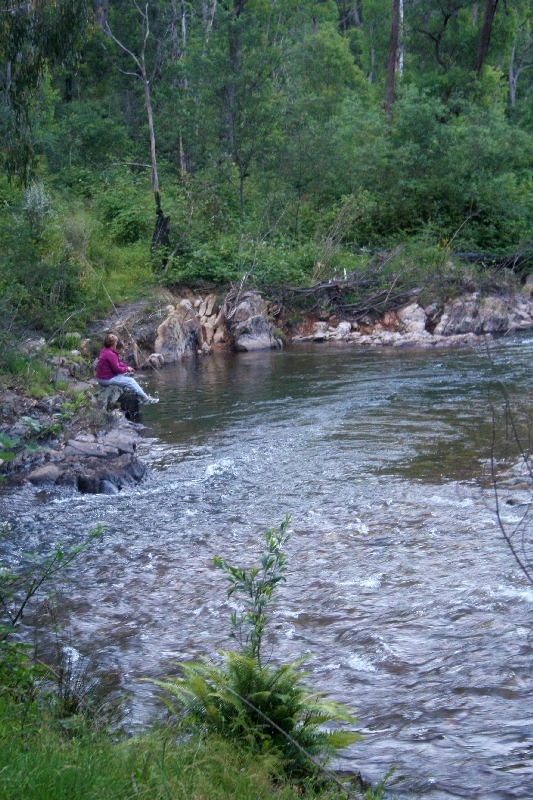 Andrew ended up finding a great little camping spot just big enough for the group with the river right next to us. 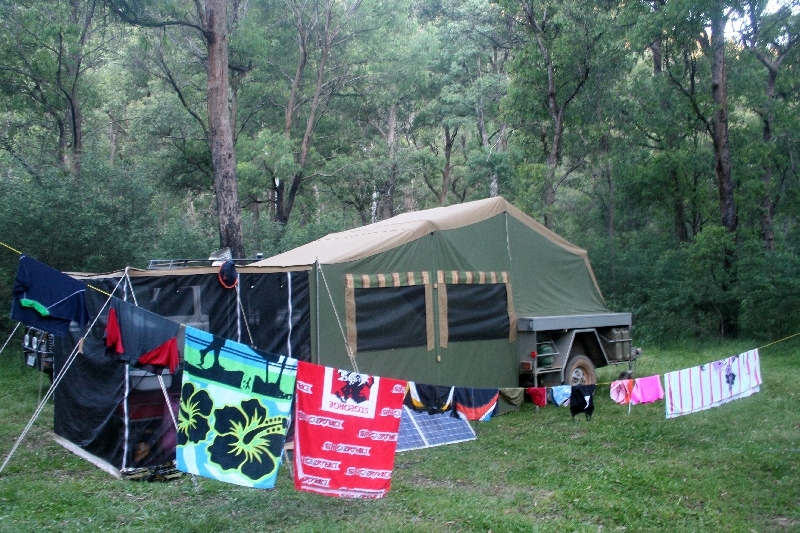 There is no facilities down here which had us all getting the toilets out for the girls, but in all honesty some of the best camp spots in Australia don’t have any facilities. Just as we started setting up the other group arrived – so in reality there really isn’t much time difference (probably about an hour) between the two different ways. Just one is more fun than the other! The normal ritual began of setting up camp, soaking in the river, enjoying a quiet drink, dinner and kids to bed. All in all an enjoyable day which left me wishing I had joined the other group to see how the Trak Shak went! Because of the change of base camp we also had to change our other plans. I had spoken to David and he’d suggested a few tracks which I decided to check out. We departed at approximately 0930h and headed south down the Buckland Valley Rd, turning left onto Selwyn Creek Rd. 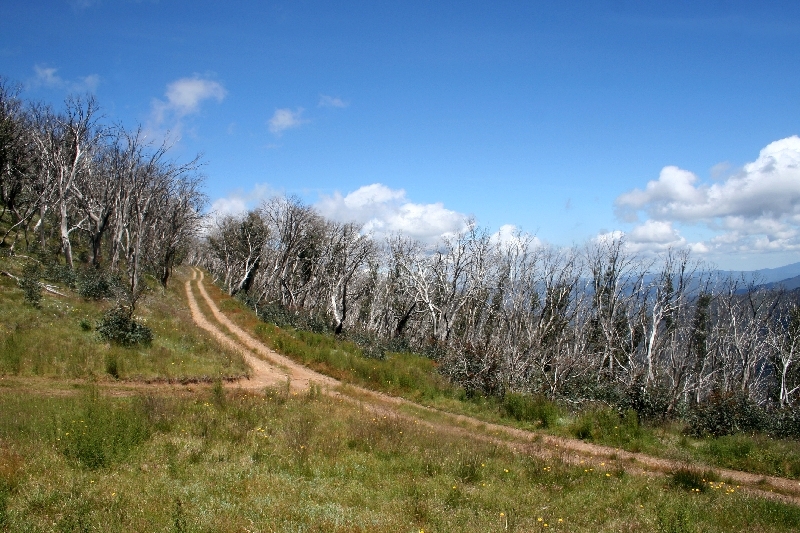 Both tracks are relatively good maintained gravel roads and are easy enough to traverse. At the top of the hill we engaged low range and turned onto Twins Jeep Track. 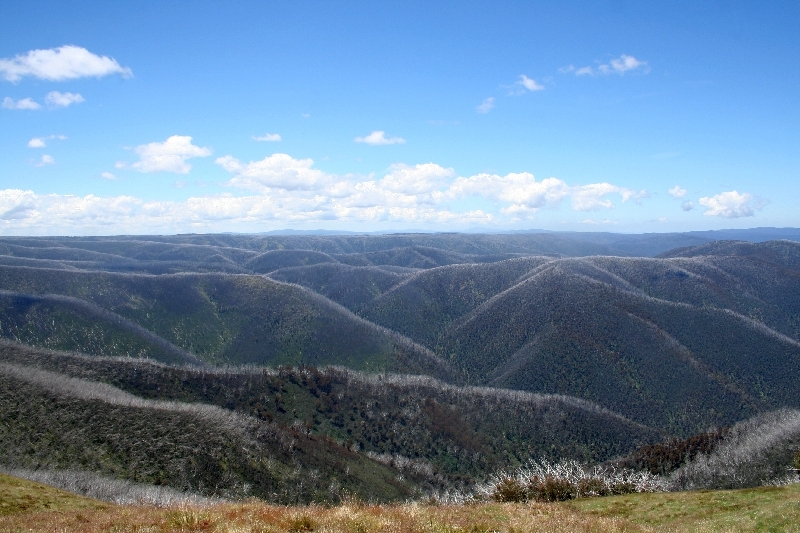 Whilst there isn’t anything that hard to traverse (just required low range) you are travelling along the ridge tops a lot so you couldn’t afford to let your mind wander – which was really hard as the views where spectacular the whole way. 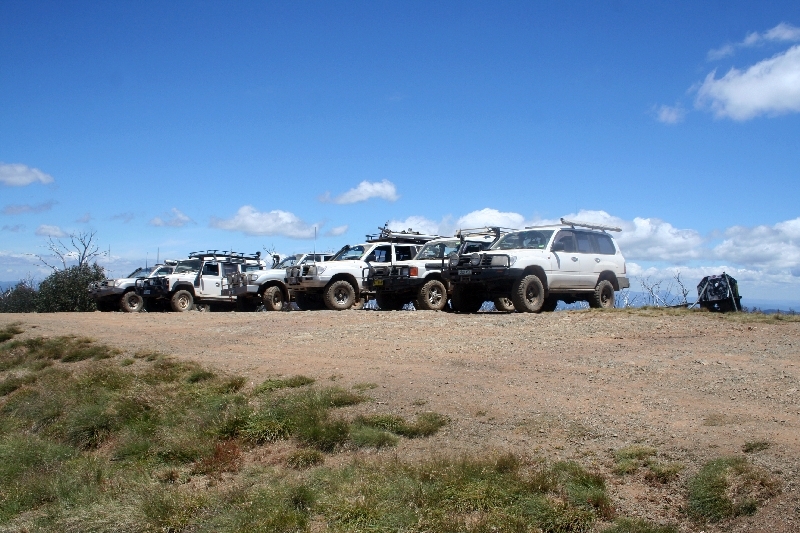 We didn’t climb up to Mt Murray due to a long schedule for the day and being unsure if I could get 7 vehicles turned around up there. I probably could have however it’s better to be sure than not I figured! 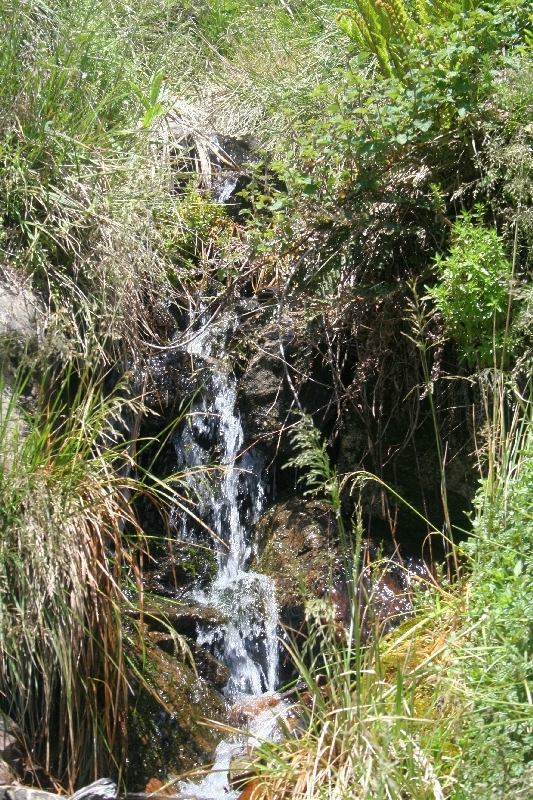 When you get around near ‘The Twins’ there is a great little spring that comes down over the track – I filled up a water bottle there and it was fantastic. Arriving at the Great Alpine Rd it’s an immediate turn onto Dargo High Plains Rd. A quick easy high range run down to the turn-off to Blue Rag on a gravel road followed. The turn into Blue Rag on the right has a bit of a culvert at the moment so it pays to take the more southern line. 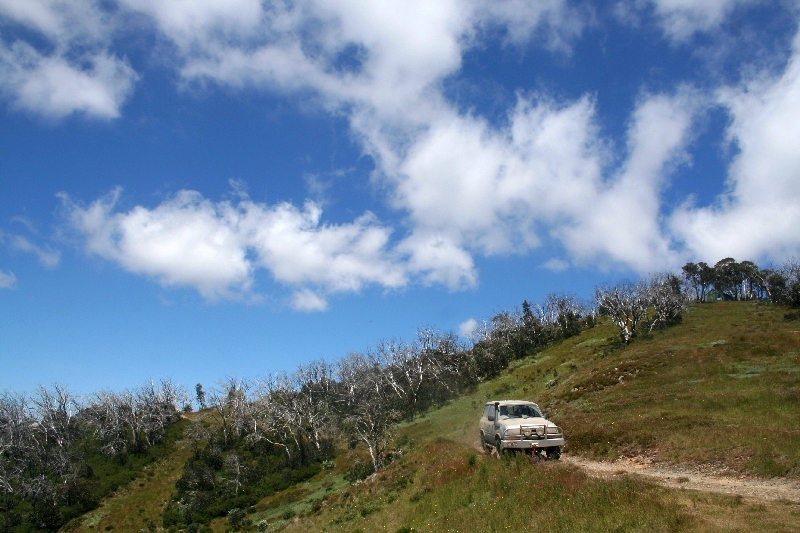 Climbing through the Blue Rag track is exactly as spectacular as everyone says it is. The first 95% of it is fairly easy in low range, but the last little part of a climb can get some people nervous (or in the case of a vehicle up there already – parking on the side of the track). The old girl slipped and spun a little running open diffs but it made it easily enough. The guys behind me did it easily with lockers or traction control (although I believed that Phil went up with the locker turned on to see how it went – it went fine!). We lined the vehicles up and got some photos, and then I had lunch with one of the best views in the world – spaghetti never tasted so good! The climb down was slow but easy enough. There were a few nervous moments for some trying to see where the track went over the bonnet and crests but it was all done easily enough. 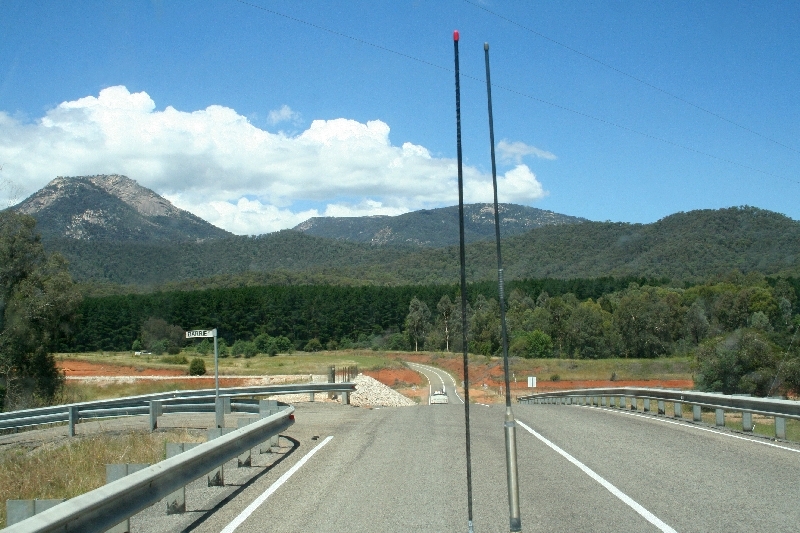 Making our way back to Dargo High Plains Rd we backtracked to the Great Alpine Rd. A couple of km’s up the road we turned left onto Sugarloaf Track – it’s a bit hard to find the track but basically it’s right at the Buckland Gap Entrance Station. You turn up the track towards the house but take a fork up to the right. The track had been recently graded (we actually found the D6 up further on) so this made some of the climbs and drops quite loose in places, however we all got through easily enough. 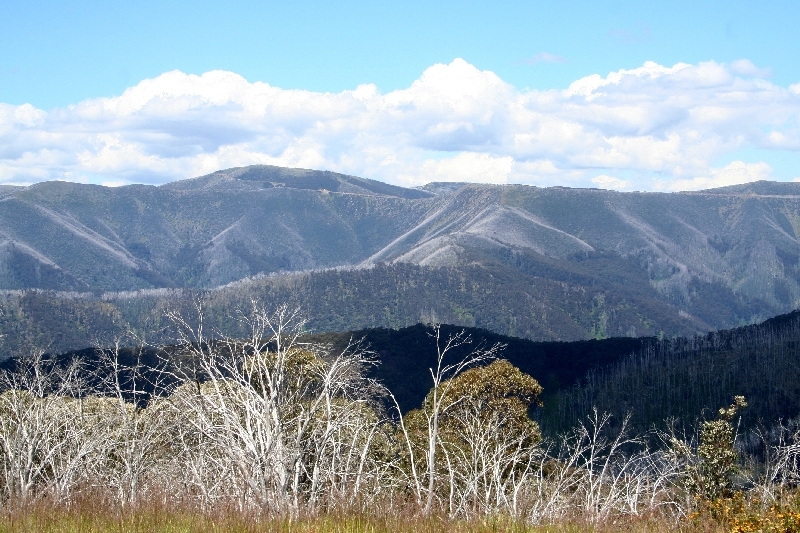 This track runs along a ridgeline and is quite scenic in places as well. From here we turned onto Gunns Track and followed it until we made it to Paddy Hill Track. This track is marked Very Steep towards the end, but to be honest I didn’t find anything that overly worried me. The track along the whole length has some steep bits going up and down, and a couple of them are loose rocks but we got through without any major issues. What we did find is that it takes longer than you think to traverse it, so allow yourself a good couple of hours (although Phil said I drive slow!). The track again follows a lot of ridgelines and eventually drops down onto Clear Creek Track where we turned left and crossed the Buckland River. 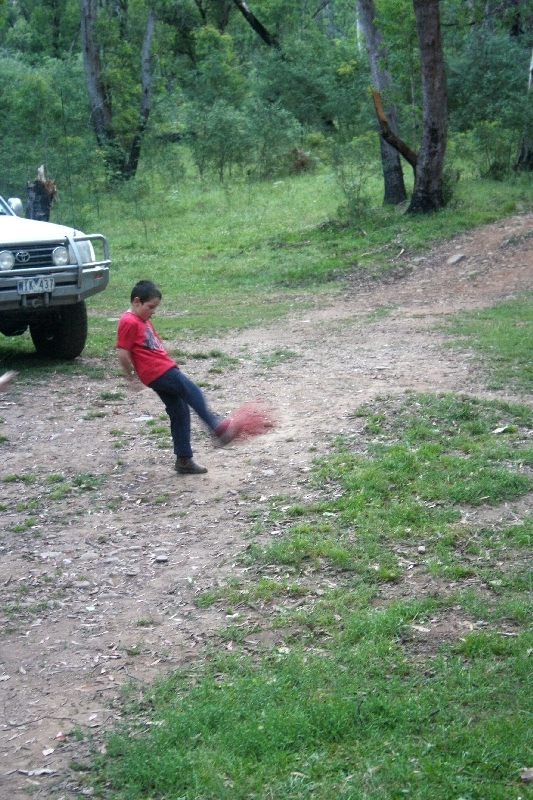 A quick run up the Buckland Valley Rd had us back a camp. The normal routine began with a swim in the river and ended with marshmallows on the fire. All in all an absolute beauty of a day punctuated with some of the best views in the world. I was quite tired at the end of the day as you find yourself concentrating quite a lot on these tracks. The rest day. This was left up to everyone to do as they pleased. Jason, Michelle and our family stayed in camp the whole day. I’m actually typing the trip report up to this point right now. The others went for a run up to Bright and I believe that a few went into Mt Buffalo N.P. 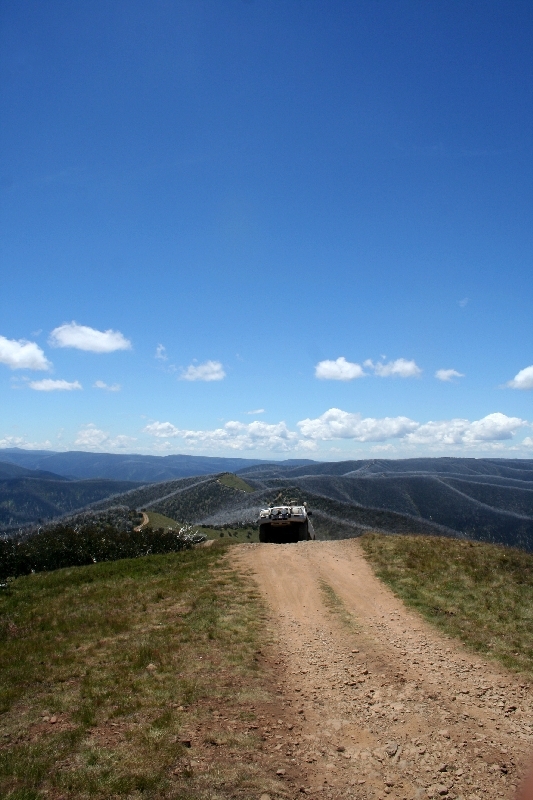 to do the touristy thing – should be some bloody good views up there and again look at the Overlander Forum for their trip report. I have no doubt that the rest of the day will consist of a fire, swim in the river, fix my air compressor hopefully and basically relax. Tomorrow we pack up camp and head over to Native Dog Flat to camp for a couple of nights. We’ve been advised by Richard on the phone that Davies Plain is still closed so we’ll have to find another route home on Saturday – however that’s Saturday’s problem!